Some verbs in the box have double letters. 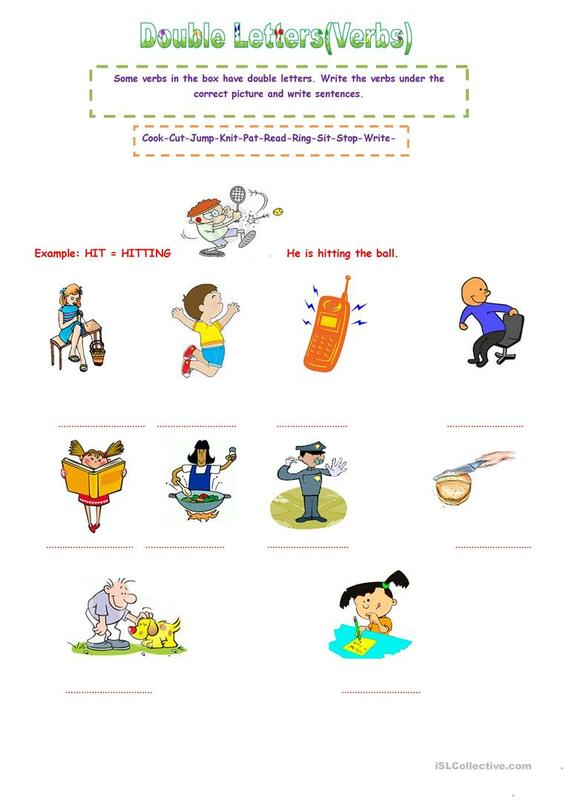 Write the verbs under the correct picture and write sentences. This printable, downloadable handout is best suited for high school students and elementary school students at Beginner (pre-A1), Elementary (A1) and Pre-intermediate (A2) level. It was designed for improving your learners' Spelling and Writing skills.